Amanda is heading to the Americas this year to share music with friends old and new. Amanda has made her 4 favourite albums available online and a collection of new tunes from studios and collaborations whilst traveling will soon be released including the new tunes Bad Abbott, Just Outside my Window, I Don't Want to Fall in Love With You, A Song and many more. Thanks to all the skilful players and engineers involved. 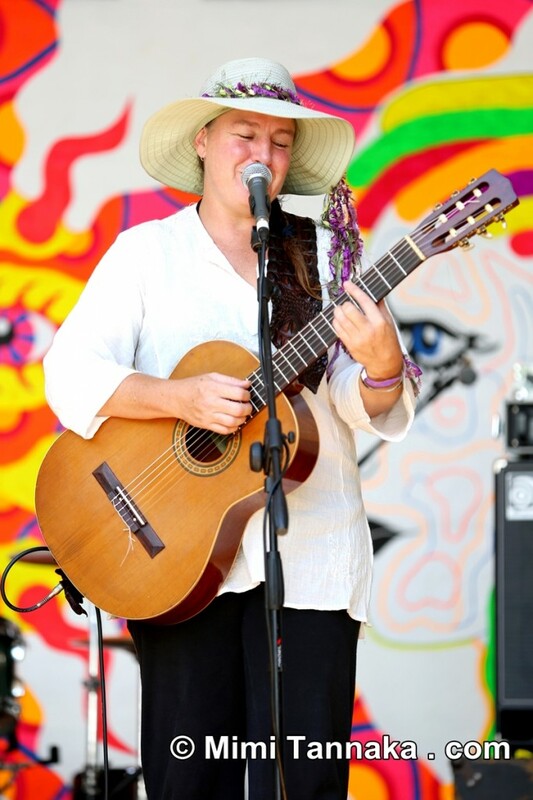 Her music has unusual textures and flavours that keep audiences listening with a smile. She is graceful with her intricate chords, voicing and finger picking on her beautiful nylon string guitar. Her lyrics draw people into the stories and adventures of her songs. 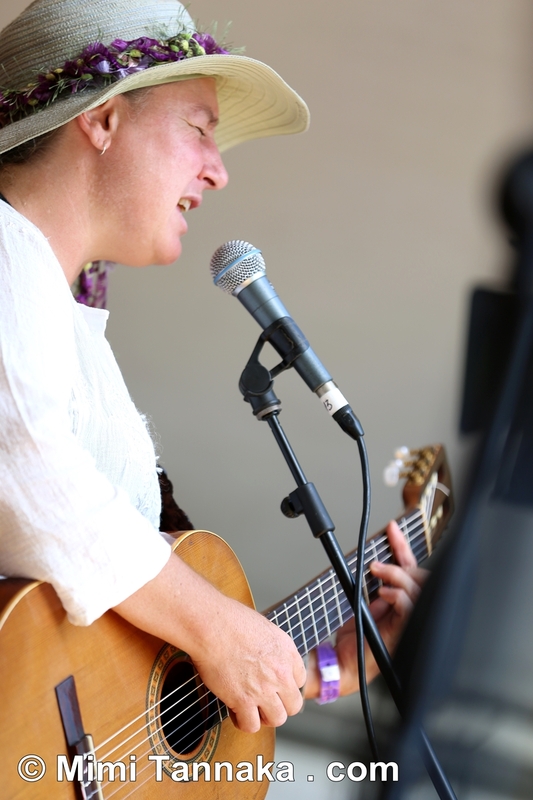 When playing in south Qld she performs with her original band, 'Amanda Kay and The Crew', or with Angus McCready, Marco and Ben Davidson and she plays with The Reclaimers and The Transformers when in Brisbane. Amanda Kay and The Crew have an album called 'Chasin' Rainbows'. Amanda wrote the albums songs with Kev Rice, Sandy O'Farrell and Reginald Mulva co-writing 3 tracks. The Crews style is enticing and unique. The sound is a blend of genres including some latin, reggae and funk influences...though it mostly gets called smooth jazz. The eclectic crew Amanda brought together for this recording all come from different sections of the music industry. Amanda also performs in a group called Amanda Kay and the Guys from Newcastle. This young band has a big energy and includes the talented musicians Tim Kellaway, Daniel Staader, Tai Willinson and Luke. This entourage performs in Sydney and Newcastle at venues including The Sandringham Hotel, UTS, The Wickham and The Lassogourie to keen audiences. The Guys from Newcastle bring a combination of funk, metal and new vaudeville sound into Amanda's compositions that come together to make impressive and high energy music. With these unusual groups Amanda songs share both laughter and tears. She has reached a stage in her journey where as her music reaches the audiences ears a quiet hush descends on the crowd. People are drawn in by her sultry tone, stimulating lyrics and the bounce she brings to the songs. She is a story teller and writes lyrics that everyone can feel. Her touch on the nylon string makes it sing sweetly, then become sharp and bright suiting the ebb and flow of the lyrics. Her journey through the world has not been an easy road and the passion she holds inside is released in her compositions. Amanda is working her new album with a variety of passionate musicians she joins on the road who compliment her with sharing the musical journey. In 2011 she sat in with The Rockwiz Orchestra. 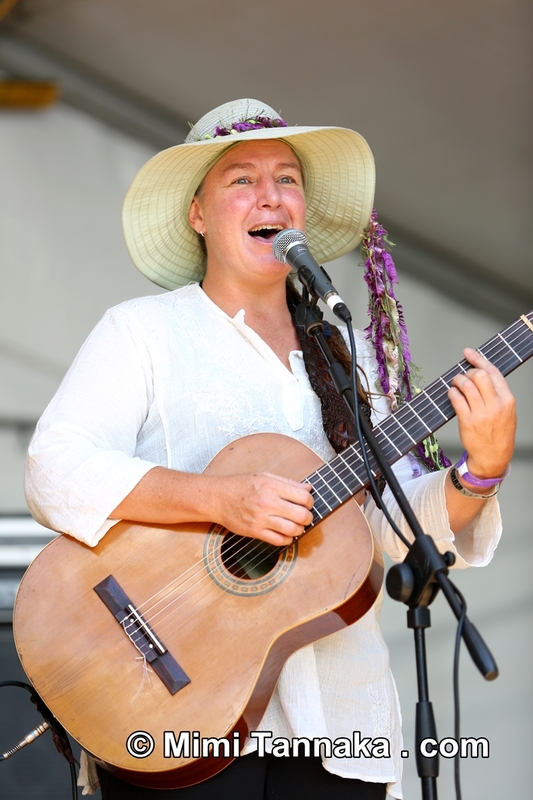 She performed at Woodford Folk Festival, The National Folk Festival, The Queensland Festival, The Brisbane Festival and she was privileged to meet and play with Rohan Marley (Bob’s son) on his brief visit to Australia. Rohan commented "She knows her chops" and joined her on the egg in a performance of 'The Election Song" (from Administer The Medicine CD). Amanda was also interview on the George Negus show and has become a recognised visual artist, creating musical artworks. Some of her works have been used on CD covers including Peter Vance’s latest Jazz release. A highlight of 2011 was singing and playing guitar for the Dalai Lama at a private luncheon during the happiness conference, where he took time from his schedule to come and say hello. He said 'you and me, and me and you, and you and me,... we are the same'.